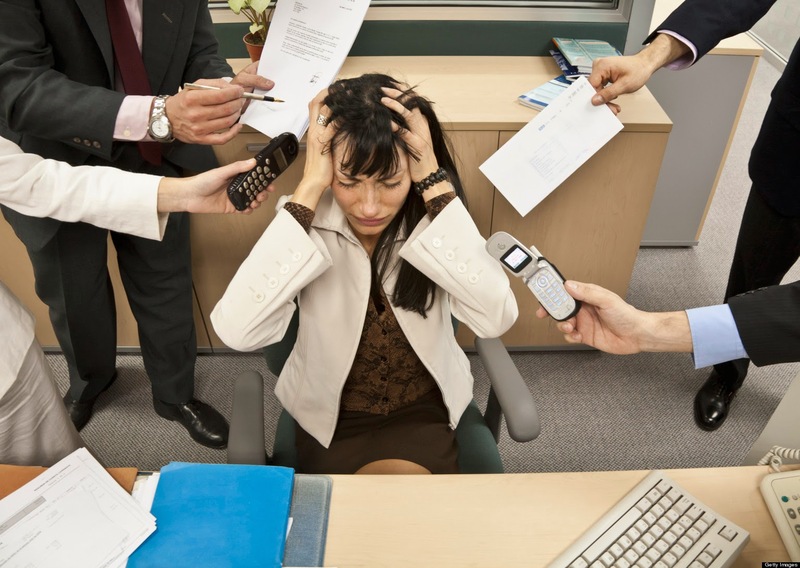 How to overcome stress at workplace? Overseas jobs for Indians are abundant and we can see lot of people flying to various countries across the globe in the lookout of greener pastures. However, balancing work life and personal life is an important aspect of everyone’s life. Stress is everywhere and in overseas jobs, it’s prevalent even more. To overcome it and to work with more efficiency, it’s mandatory to follow few tips in the daily life. Follow these and see the difference. Identify the reasons for stress: Identifying the reasons for stress is the most important aspect before you can get rid of it. Find out what exactly is bothering you at the work place, be it the task you have been assigned or difference of opinions with your boss or colleagues on a specific aspect and so on. Once identified, try discussing the issue with your superiors or colleagues and try to sort it out amicably. Making life easy is very important to concentrate on the work which will enhance your productivity. Controlling is the key: Often there will be things which can be controlled by you and few which are out of your control. Identify those things which you can control and see if you can change yourself in the way you react to a particular situation, dealing with your boss, handling the work overload etc. Once identified, think about various alternatives and choose the best course of action to handle it. Time management for overseas jobs: In this busy world, where every task seeks your attention, it’s very difficult to juggle between different things and to ensure that you meet the expectations of all. As such, prioritizes the tasks based on the importance and deadlines and try sticking to them which will give you ample time to do the tasks in a peaceful manner. Devise techniques: There are several techniques to deal with stress and not all the ways can work for different kind of situations. As such, devise various techniques which can relieve you from the stress. Taking regular breaks, watching nature, going for a walk, taking deep breath, listening to soothing music and so will all relieve you from the stress. Talk to someone and resolve the conflicts: Take help of the counselors or the HR persons to discuss your issues or concerns at the workplace. You can pour your heart regarding all the work related issues and can find practical solutions. Always, remember that with responsibility, the stress comes and you should learn to manage the stress instead of trying escape from it. Learn to work in multi-cultured environments: After finding suitable job Opportunities in abroad, it’s essential to learn and appreciate the culture and traditions of various people coming from different environments and countries at the workplace. Perfectionism: It’s good to be a perfectionist but always remember that 100% perfectionism is highly impossible. Always try to do your best and try to be close to perfectionism but never cling to it since other tasks get delayed if you put your entire focus on a specific task. Delegate responsibility and compromise: Don’t try to do everything on yourself. Allocate the work to others and ensure that you involve others in getting your work done. Also minor adjustments are mandatory to ensure that the task is completed on time. Be humorous: Humor can be used appropriately to get rid of the stress. When things are too serious, you can lighten the moment by cracking a joke or sharing a funny story or anecdote. Remember that you never hurt anyone in the process. Follow these tips and make your dreams of finding job Opportunities in abroad and work in them, successfully.